RefectoCil Eyelash Curl Kit with collagen and cysteine gives your lashes a wonderful curl, letting the eyes appear larger and more expressive. At the same time the eyelashes are nourished. Collagen is one of the commonly occurring structural proteins in the human body. Together with the amino acid cysteine, proved to contribute to hair development, these active ingredients nourish and protect the eyelashes during treatment, allowing them to appear groomed and fuller. 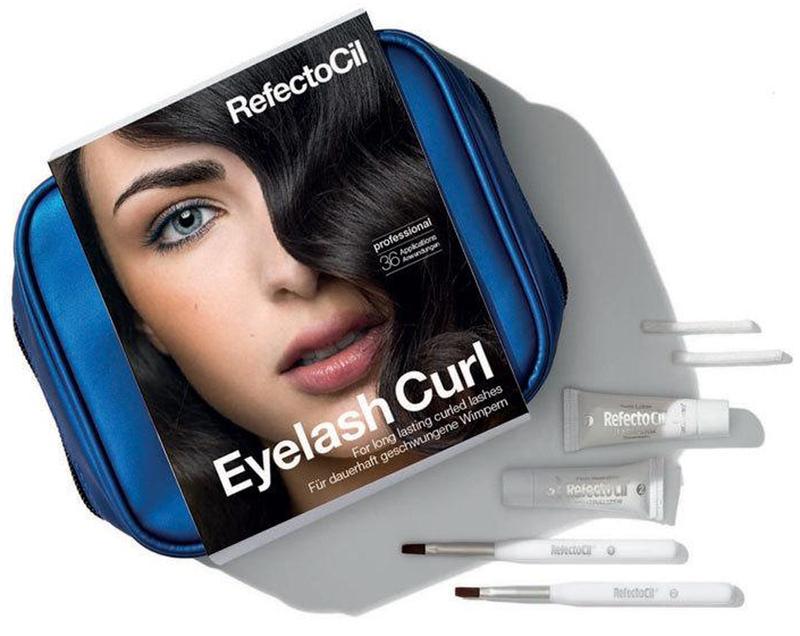 Unlike mechanical lash curlers, RefectoCil Eyelash Curl gently forms the eyelashes with the curl lasting up to 6 weeks. The application is simple and takes about 45 minutes. With the choice of four different roller sizes you can achieve the perfect eyelash curvature for each customer – independent of eyelash length or eyelash form. 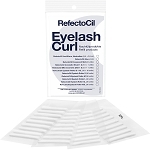 RefectoCil Eyelash Curl provides a service in your salon that your clients will be excited to try. For optimum care of curled and dyed lashes we recommend RefectoCil Long Lash Gel, which nourishes and strengthens lashes plus giving them a wonderful shine. Be irresistible. Refectocil Eyelash Curl gives you a look, that’s breathtaking but natural. It curls lashes and lets eyes appear bigger. The look becomes more open and you are styled perfectly around the clock! Clean the lashes with RefectoCil Micellar Eye Make-up Remover. Degrease with RefectoCil Saline Solution to remove any lingering protein. he correct roller size will be when the eyelashes cover half of the roller circumference. Gently stretch the eye lid with your fingers, apply the eyelash roller at the inner lid edge – just above the lash line. Apply a small amount of RefectoCil Glue to the roller and the lashes. With an upwards move press the eyelashes evenly and straight onto the roller using the application stick. Apply Lashperm with an application time of 15 minutes. Remove with a dry cotton swab after application time. Apply Neutralizer with an application time of 10 minutes. Gently stretch the eyelid and roll the eyelash roller downwards. Tip: For an even more intense effect, tint the lashes directly after curling with RefectoCil eyelash and eyebrow tints. The hair shaft is still open, therefore the application time is just 2 minutes! Glue: Rubber Latex, Aqua, Titanium Dioxide, Polyurethane, Butyltriglycol, Potassium Hydroxide.